Skiing has never been more expensive. We are doing our part to bring costs down by bringing together skiers and boarders to purchase tickets in bulk. 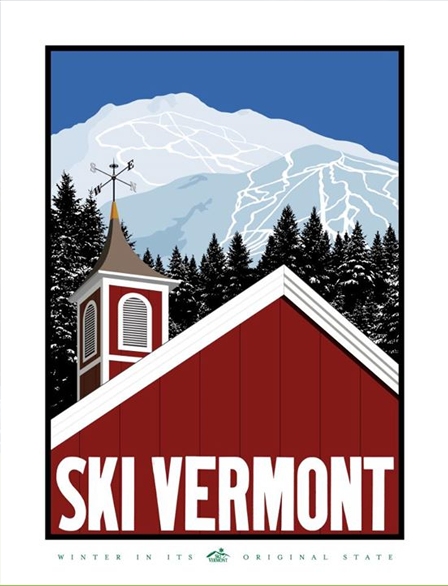 We obtain tickets to most Vermont and New Hampshire alpine resorts through Vermont Ski Area Association and Ski New Hampshire and offer them to our current members at significant discount over the daily window rate. Our single-day ticket prices are significantly below window rates. Some remaining tickets can go for as little as $5! You will almost always recoup your membership dues on your first lift ticket purchase. We pre-purchase lift ticket vouchers from Vermont and New Hampshire ski area associations during the summer and make them available to members for online purchase in the fall. There is no minimum purchase. Join the club now! If you wait till the fall to join, you’ve probably missed tickets for the most popular resorts, since orders are processed on a first-received, first-processed basis. The club now sells all discounted tickets through their new online ordering system (ACEWOS). Restrictions for Vermont Mountains are a 16 ticket maximum and no more than 2 tickets from any one mountain. By mid-season ticket limit restrictions will be removed, sometimes earlier for less popular mountains. The Group Name is “ACE Ski and Board Club” and the Group Coordinator is Marcia Ruklic. One does not have to be an ACE Ski and Board Club member to join our GPS group. However, a minimum of 4 people are required in order to get the discount price. Pass prices increase $100 on November 15, 2018. The Club earns an incentive based on the number of people who purchase a pass through the Club's GPS Group. At the December Club meeting, those who are Club members that have purchased a GPS Pass through the Club will be eligible for the drawing. Passholders may also receive additional benefits that may be found by clicking on the “Perks for Passholders” link on the Wachusett Mountain website. Do I have to be a member to purchase tickets? Tickets are NOT for resale. Do not attempt to sell at a Mountain/Resort - this will end up harming the club and yourself. All discounted lift tickets must now be purchased online through the club's new ACE Web Ordering System (ACEWOS). A member account must be created for each person wishing to buy tickets. Do I receive the actual ticket? What you actually receive is a voucher, which is exchanged for a lift ticket at the resort ticket counter. So we often use the terms "ticket" and "voucher" interchangeably. What is the availability of tickets and how do hear about the sales? As an ACE member, you are added to the club's "members-only" Google group. The club uses this email list to send announcements to members, including notifications about upcoming ticket sales.